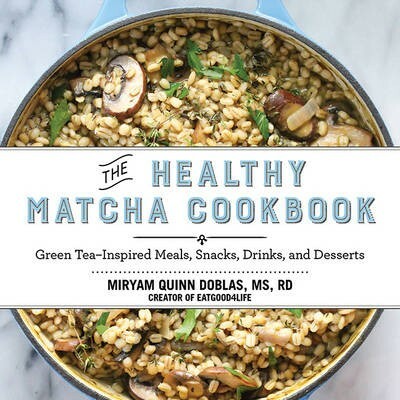 In The Healthy Matcha Cookbook, popular food blogger and registered dietitian Miryam Quinn Doblas explores the various ways matcha powder-a main component of green tea-can be incorporated into everyday recipes to give your immune system the boost it needs to keep you healthy. The health benefits of matcha powder far exceed those of green tea in drink form. The fifty recipes in this cookbook are easy to prepare and feature fresh, high-quality ingredients that aim to incorporate match powder, a powerful antioxidant, into the diet. This cookbook will take each reader on a healthy cooking journey with fool-proof recipes such as: quinoa burgers with matcha habanero mayo energizing fruit and vegetable smoothies green tea gnocchi matcha and maple baked chickpeas coconut green tea ice cream and many more! If you want to feel better, have more energy, and decrease the amount of toxins in your body, The Healthy Matcha Cookbook is a great resource that will help you restore and strengthen your mental and physical health. This is a beautiful guide that offers home cooks of all levels the chance to transform meals into satisfying, wholesome, healthy food using one of the world's most popular superfoods.